Pub crawls are a popular to-do in Philadelphia, and this tour proves it’s been that way for many years. 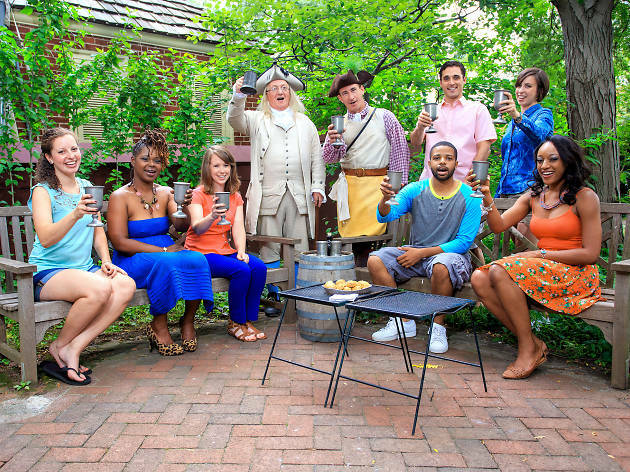 Hit the streets of Old City with a guide in Colonial garb, who will take you to three bars throughout the neighborhood with a historic bent: National Mechanics, Victoria Freehouse and City Tavern. 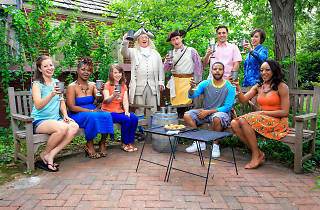 Along the way, you’ll guzzle beer while he or she regales you with stories about the crucial role taverns played in the days of Franklin (who actually joins you halfway during summer tours), shares Revolutionary drinking traditions and leads you through drunken sing-alongs of old-school pub songs.